If you missed out on 2008s Countdown Pack release fear not. Next year, the original "Black Toe" Air Jordan XIII is set to return. Click here to grab a pair on eBay. Originally released in 1997. This shoe was made famous not only by MJ on the court but, by Denzel Washington rocking them in the Spike Lee joint, He Got Game. Known as the "Black Toes" as the toe area is black. These were retroed for the first time in 2008 as a part of the first Jordan Countdown Pack paired with the original "Shadow" colorway of the Air Jordan X Retro. 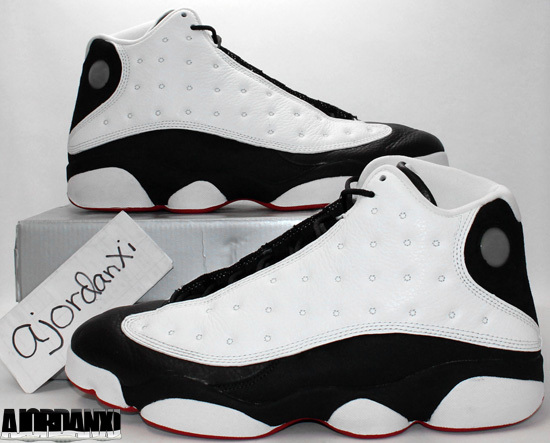 For those who passed on the pack because they only wanted the XIII, you're in luck. 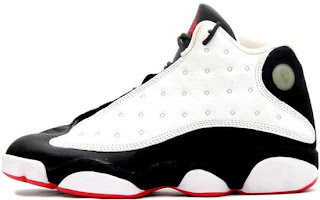 Next year in 2013, this original Air Jordan XIII colorway will be re-released. It will be its third release overall and second retro. This time around they will be a general release and sold separately, not in a pack. While no release date is set, look out for these sometime in early 2013. Once I have an official release date I will be sure to post it. For now, enjoy images of my original pair and, my 2008 retro pairs. If you're looking for these now, click here to buy them on eBay.